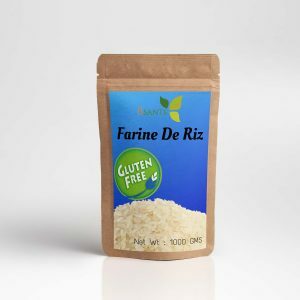 Use as flour: to make bread, biscuits, donuts, mashed potatoes. Thanks to its high carbohydrate content, plantain – a fruit vegetable – is an essential energy source in the diets of certain populations: its energy intake is of the order of 120 calories per 100 g of cooked plantain. Native to Africa, it is also found in South and Central America, the Caribbean and India. The plantain banana is the cousin of the banana and prepared in many exotic dishes. Rich in carbohydrates, the plantain is extremely nourishing, but also a real source of vitamins. 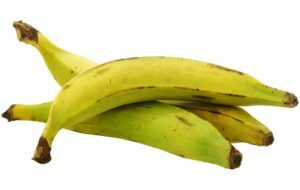 Plantain also contributes to the vitamin and mineral intake of the diet. Thus, even if during cooking, its vitamin C is partially destroyed, a portion of 200 g of cooked plantain still provides 6 to 10 mg, which is not negligible. 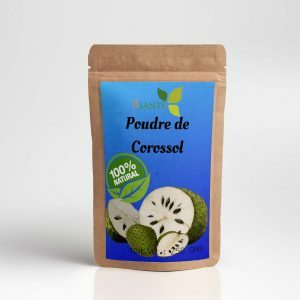 Its content of Vitamin C boosts its immune system. Plantains contain manganese, copper, potassium and magnesium, all of which are good for cellular youth, bones, cartilage, muscles and heart rhythm. In a large bowl or in the food processor’s bowl, mix the yellow banana flour and 3 eggs. Then add the milk and beat dynamically to obtain a fluid mixture. Leave to rest in the fridge for 1 to 2 hours. Meanwhile, prepare the filling for the salted crepes. With the other 3 eggs, prepare an omelette, add some finely chopped onion. also crumble the pieces of smoked chicken and / or ham according to your taste. Prepare your tomato coulis: simmer in a saucepan with a little butter or oil, onion and garlic and then add the finely chopped tomatoes and basil. Cook and return the crepes both sides in the buttered pan. 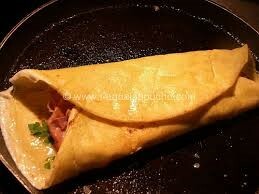 When the crepes are ready and hot, garnish them with tomato coulis, grated cheese, chicken and / or ham or any topping as per your taste. Serve and enjoy hot. Beforehand, your oven must be heated in Therm. 6 (180 ? C) for 15 minutes of cooking Recipe for 8 people. To serve as appetizers. Take the baking sheet and cover with baking paper. Mix 1: In a large bowl or in the bowl of the robot, put the yellow banana flour, cornstarch, xanthan gum or psyllium, baking powder, baking soda and salt. Mix dynamically and reserve. Mix 2: Cut the butter into small cubes and in another bowl, mix the grated cheese, butter and onion. Add to this mixture 2, the mixture 1 consisting of flour and other ingredients. Add the cream gradually. The dough will become like a ball. Divide this ball in half and wrap each ball in cling film. Flatten each disc-shaped ball and place in the fridge for 2 hours. Arrange each disc of dough on a sheet of floured baking paper and spread the discs with a roll to obtain a paste thickness of about 4 minutes. Put back the food film and place once more in the fridge for 1 / 2h. Take the discs out of the fridge and arrange them so as to cut the crackers with the pieces according to your taste and place them on the baking tray. 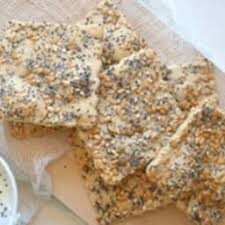 Sprinkle these crackers cut paprika on half of them and the rest of poppy seeds. Put in the oven for 14 mn Therm. 6. The crackers will swell and will be golden on the sides. Remove the crackers immediately from the baking tray to prevent further cooking when the baking sheet is still hot.